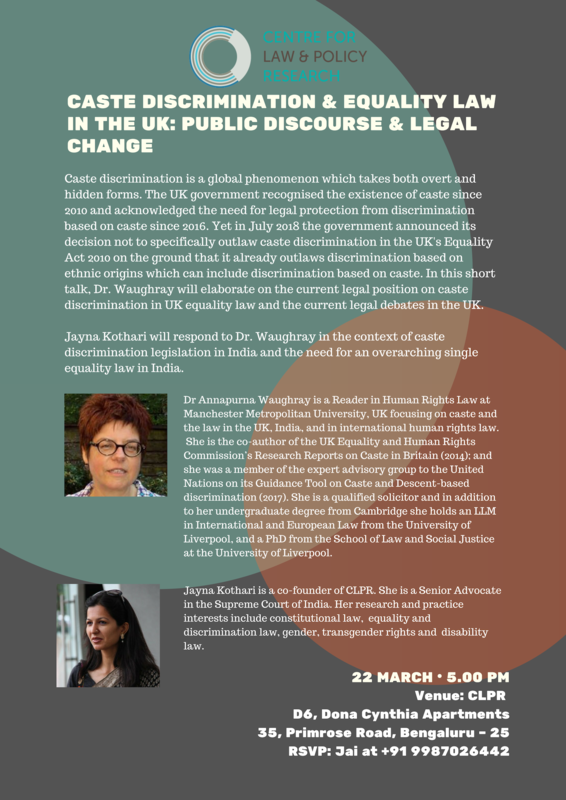 On 22nd March, CLPR’s Occasional Talks series continues with a short lecture led by Dr. Annapurna Waughray: Caste Discrimination and Equality Law in the UK – Public Discourse and Legal Change. In this short talk, she will elaborate on the current legal position and debates on caste discrimination in the UK. She will focus on the Equality Act, 2010. Senior Advocate Jayna Kothari will respond to Dr. Waughray, in the context of caste discrimination legislation in India. She will also briefly discuss the need for an overarching single equality law.